During the Spanish occupation of the Philippines (over 300 years from 1561-1889), the Spanish government required the barong tagalog to be worn by Filipinos (indios) to show the difference between the rich and the poor. This was to reinforce the idea that the poor who serve the rich must always be in uniform. Take their chauffeurs, maids, and employees as examples. They are in uniform to immediately distinguish them from the employers. When the Spaniards colonized the Filipinos, they had to make it abundantly clear who the boss was through the imposition of a dress code. He was not allowed to tuck his shirttail in. That was the mark of his inferior status. Second, the cloth material should be transparent so that he could not conceal any weapon that could be used against the masters. Third, as a precaution against thievery, pockets were not allowed on the shirt so he could not slip any piece of silver or small item of value into them. By the turn of the century, a new middle class began to emerge among the Filipinos. These were known as the principalia. They had mastered Spanish laws and were able to obtain title to lands. They were successful in business and agriculture and sent their sons to be educated abroad. 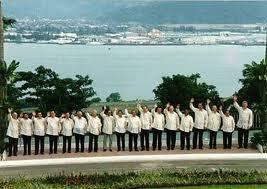 They were privileged to build their houses in the poblacion around the plaza near the seats of power. Only a member of the principalia could be addressed by the title ‘DON’, and only they were allowed to vote. They had all the trappings of power and status, but for one undeniable fact: they still had to wear their shirt-tails out, if only to remind them that they were still Indios. What the Spanish authorities did not smother out was the Filipino’s will power and determination to psychologically conquer their colonial masters, through improvisation and reinterpretation. 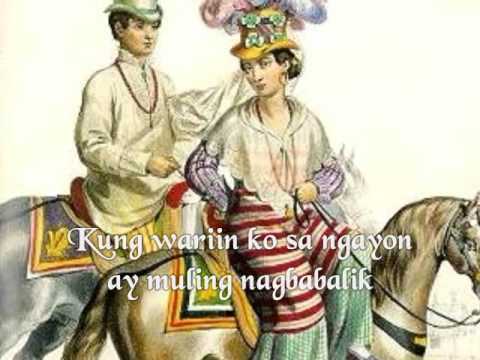 The Filipino’s stylistic bongga (flashy dressing) was a reaction against the overt discrimination and insensitive oppression of the Spaniards. 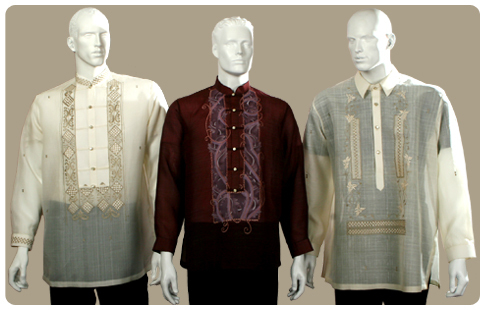 The Barong Tagalog gained its power, prestige, and status when President Quezon, the first Filipino president, declared it the National dress. 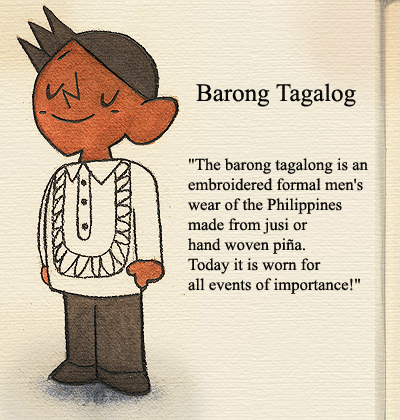 The status of the lowly inferior Barong thus became another symbol of Filipinos’ resistance to colonization. 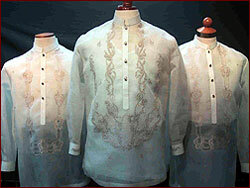 After World War II, Philippine presidents began wearing the Barong Tagalog at their installation into office and on every formal state occasion. 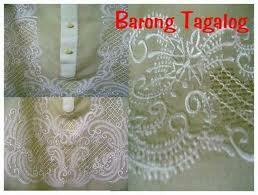 In contemporary times the Barong Tagalog is the power dress. As an abogado de campanilla, you cannot afford not to wear the Barong Tagalog when arguing a case in Philippine courts. Today, every visitor and foreign dignitary invited to a Malacanang Palace state function must by necessity and as dictated by protocol, be dressed to the nines in a Barong Tagalog. The invitations specifically say come in “Barong” instead of the traditional “Coat and Tie”. Thus, every one invited to dinner at the Presidential Palace and in many Filipino homes will knowingly and unwittingly have to experience directly, what it feels to have to wear his shirttails out, to suffer the indignity of having the material of his barong transparent so that he cannot conceal any weapon; and horrors, to be accused directly of incipient thievery by having no pockets in his barong to put the silver.